These chicken breasts are baked and then served with a homemade cheese sauce, jalapeno peppers, and nacho chips. Serve this flavorful chicken dish with Quick and Easy Mexican Rice and refried beans or a chunky ​fresh ​salsa for a full and hearty meal. Combine bell pepper, jalapeno pepper, garlic, and olive oil. Place chicken breasts in a shallow baking pan sprayed lightly with nonstick cooking spray; add pepper and oil mixture. Bake chicken at 350°F ​uncovered, 20 minutes. While chicken bakes, melt butter or margarine in saucepan. Add flour and stir for 1 minute. Whisk in milk, stirring until sauce starts to thicken. Remove from heat; stir in cheddar cheese, hot pepper sauce, salt, and pepper. Pour sauce over chicken. Continue baking, uncovered, for 15 to 20 minutes longer, or until chicken is done and juices run clear. Remove chicken from oven; turn oven to broil. Return chicken to oven; broil just until lightly browned. 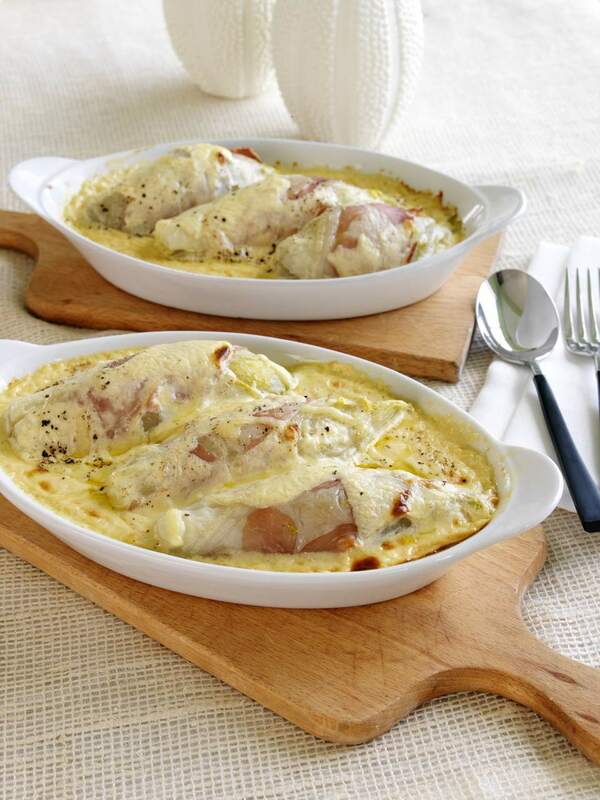 Arrange on a serving platter with cheese sauce spooned over chicken breast halves. Garnish with jalapeno pepper rings and nacho chips, if desired.